Ohio bloggers, this is a MUST read for you! If you teach in other states, you may still want to check this resource out! 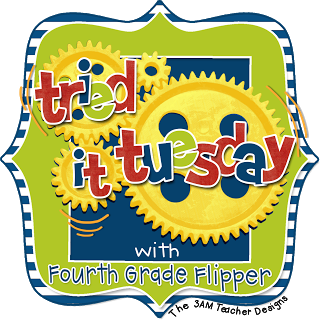 I am linking up with Holly for her awesome Tried it Tuesday linky party to share a "Tried it" for Social Studies/Language Arts integration I am using this year. Has anyone ever heard of News Depth? It is a FREE instructional program that is presented in a news like format. It is aligned to common core, and is perfect for teaching current events and connecting SS to Ela. Each week they publish a new episode that is about 25 minutes long. My students look forward to watching them every Friday! They LOVE it. Each episode focuses on current events around the world, and local events. (Which is why it is GREAT for Ohio teachers, but would work for other states, too!) Each episode is filmed in a news-like fashion, but also has quizzes and question answer sessions! "NewsDepth invites students to respond to authentic non-fiction resources, providing opportunities for writing and deeper exploration." Another great thing is that kiddos from around the state can write in each week and they talk about your letter on the show! Last year one of my students ALWAYS wrote in. When his later came up on an episode he was SO excited, and so was my class! This Week's Question: Thanks to all the attention on healthy eating these days, school lunches have gotten healthier, too. What do you like - or dislike - about the food at your school? We discussed the words before we watched and answered the question in our writing journals. Another one of my favorite features is the weekly writing/geography connection. 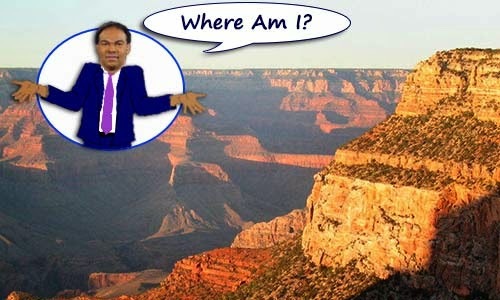 Each week they post a fun post card, with clues on the back when you click! You can write in to see if your guess is correct! My students and I love reading the clues and trying to guess. A few times it has been a place we've seen in a book or in our SS unit so it's great connection! 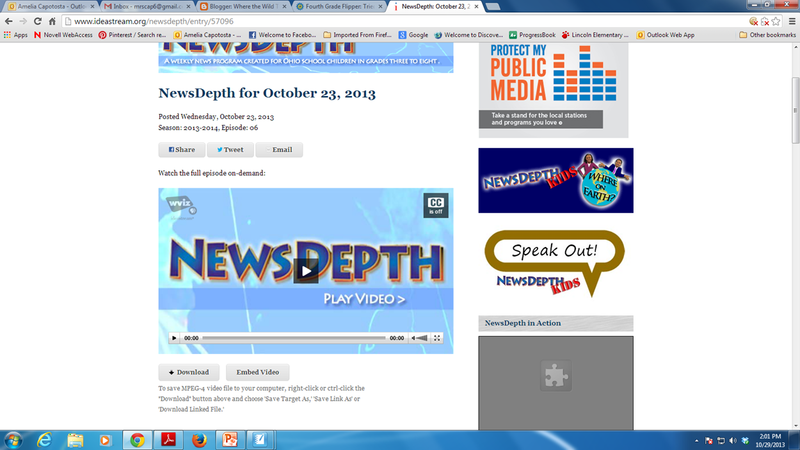 If you haven't already, check out NewsDepth. It is a GREAT free resource! I am off to enjoy our day all about Monsters and Frankenstein! (My kiddos are SO excited.) Make sure you check out my post from yesterday to see interactive plans of everything we are doing this week! And don't forget to check out the amazing Educents deal I am a part of! It is a JAM PACKED clipart pack for an unbelievable price! It's only available for a week longer, so go get it while you can! What a great resource!! I'll have to check it out! Thanks for sharing! I don't live in Ohio, but I'm definitely going to check it out! 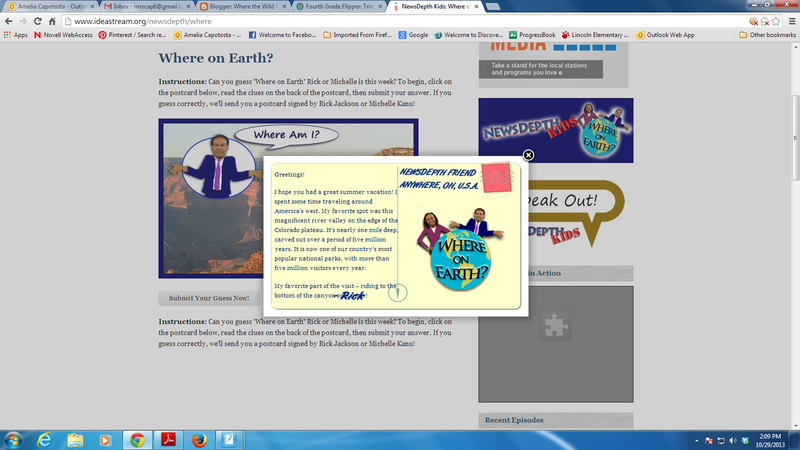 Each week I get a template from Corestand that has a link to a news article from Time for Kids. That too is Common Core aligned and a great resource.